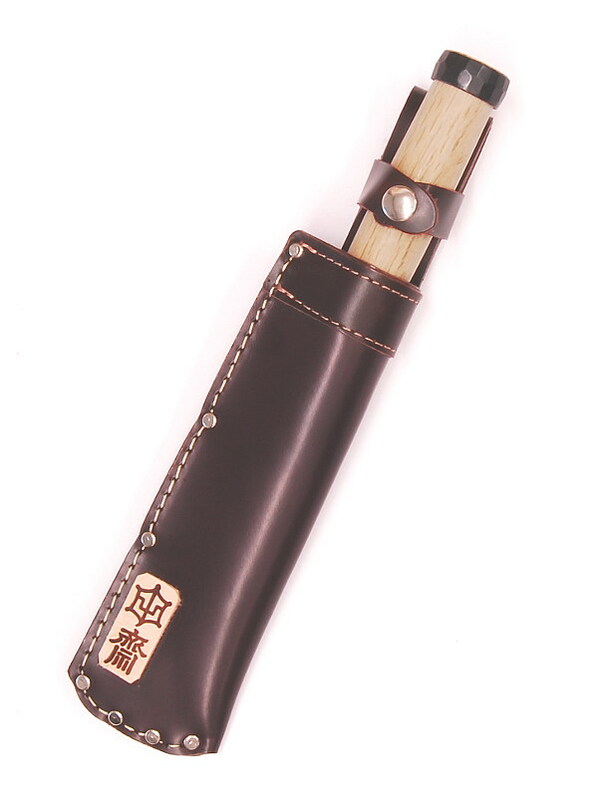 The Cutting steel is made of Tasai Special Blue Steel, a custom made steel for Tasai. laminated onto the special multi-layer core "Mokume pattern"
An artistically beautiful outstanding chisel! Made by Master Akio Tasai in Sanjo, Province Niigata. 9 mm Currently not in stock! In this small smithy in the Province of Niigata, Japan, these chisels were produced by the master blacksmith Akio Tasai. 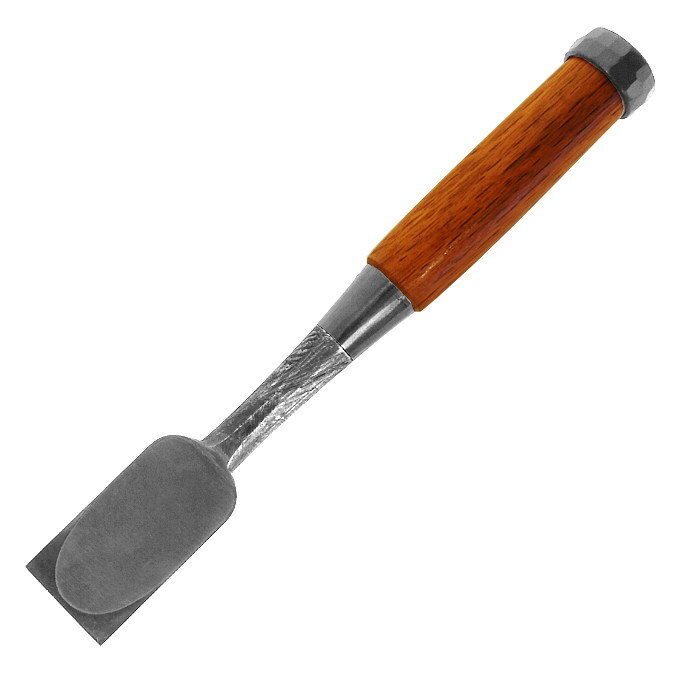 These chisels are very sturdy and compact carpenters tools. They have a reinforced tang (up to 15 mm thick) and are 23 to 24 cm long. They are used in Japan on construction sites for wood structures. 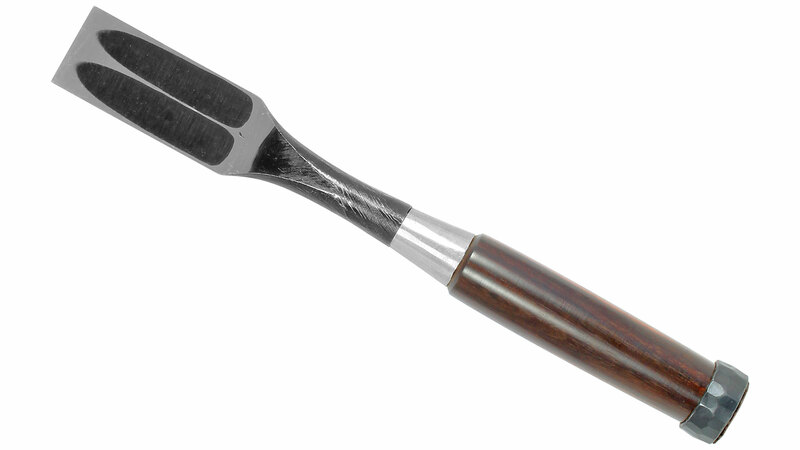 These chisels are carried in closed belt pouches which ensure the safety of the user when moving, even if they are high up in the scaffolding. The belt pouch is made from three layers of sturdy leather sewn and riveted to make it impenetrable. 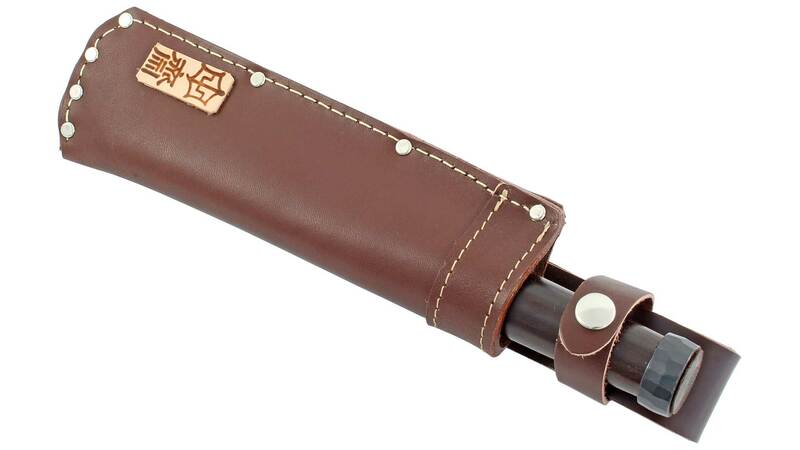 These chisels get their name from the short Japanese second-sword “Wakizashi”. The cutting-layer is made of TASAI Special Blue Steel, a custom metallurgical formula made only for Tasai. 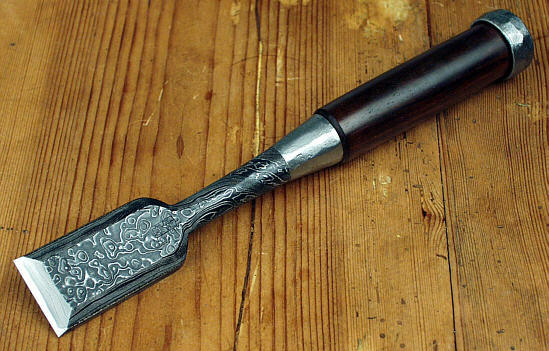 This chisel ha a very rustic appearance due to the sharpening marks being still visible beneath the polished metal. The handle made of white oak. 24 mm (8 bu) Currently not in stock! 27 mm (9 bu) Currently not in stock! Handle made of White Oak. 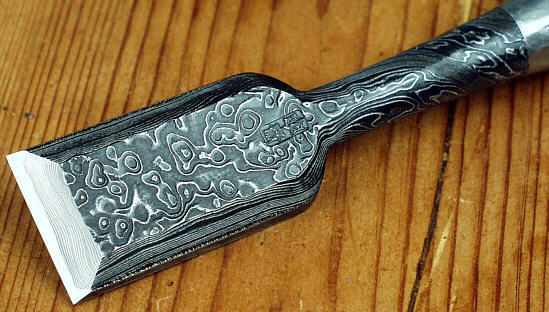 This chisel features a very distinct pattern of the layers. 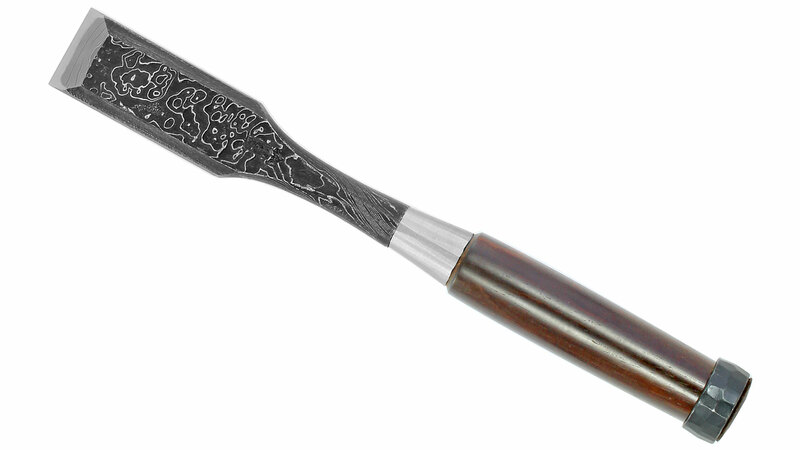 The handle made of sandalwood. Tasai has lots of old Japanese nails. The jigane made of them leads to interesting patterns - different each time. The handle is made of red oak. 3 mm (1 bu) Currently not in stock! 6 mm (2 bu) Currently not in stock! 12 mm (4 bu) Currently not in stock! 15 mm (5 bu) Currently not in stock! 18 mm (6 bu) Currently not in stock! 30 mm (10 bu) Currently not in stock! 36 mm (12 bu) Currently not in stock! 42 mm (14 bu) Currently not in stock!